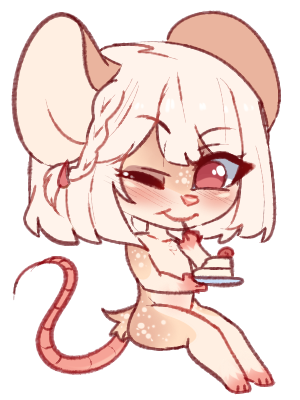 A cute little chibi of my newest little squeak enjoying a slice of cheesecake. She has a sweet-tooth to rival Jen's, so I think they'll get along just fine. As long as the cake holds out.